× Talk with us about new Forum features, you'd like to see in these forum, tell us your ideas and special wishes. I'm just wondering if thee is a plan to integrate "uidesigner" from fpgui? There are patches for total integration into Typhon. Sadly the patches for last releases of Typhon are on "todo" list. 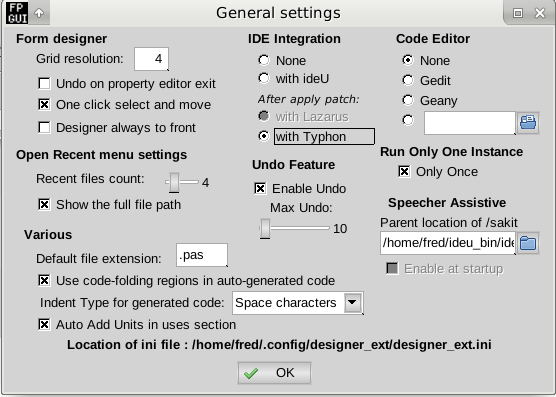 But of course if Strenas if ok to add those very few code to enable total integration in Typhon, it is better. Last edit: 1 week 3 days ago by fredvs. Last patch was for Typhon 5.6, more than 3 years ago. So it is surely not up-to-date. My problem is the fpGUI designer. but with a lot of MODs). Why we don't try to add your SAK library integration in default Typhon AdLCL designer ? @Sternas : I see there on your picture a TfpgLabel. Does it mean that you found a way to deal with TfpgLabel too? 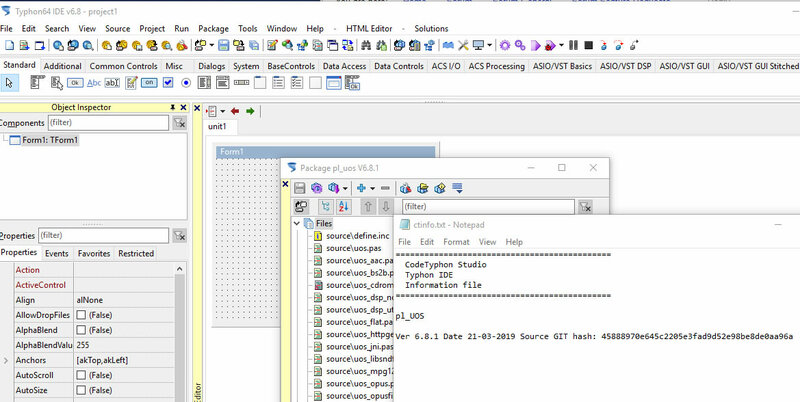 And the result, does it produce a "pure fpgui" or a "LCL-fpgui" application? @gulyone: Thanks! About sak: for LCL widgets only a few are implemented. Last edit: 1 week 1 day ago by fredvs. 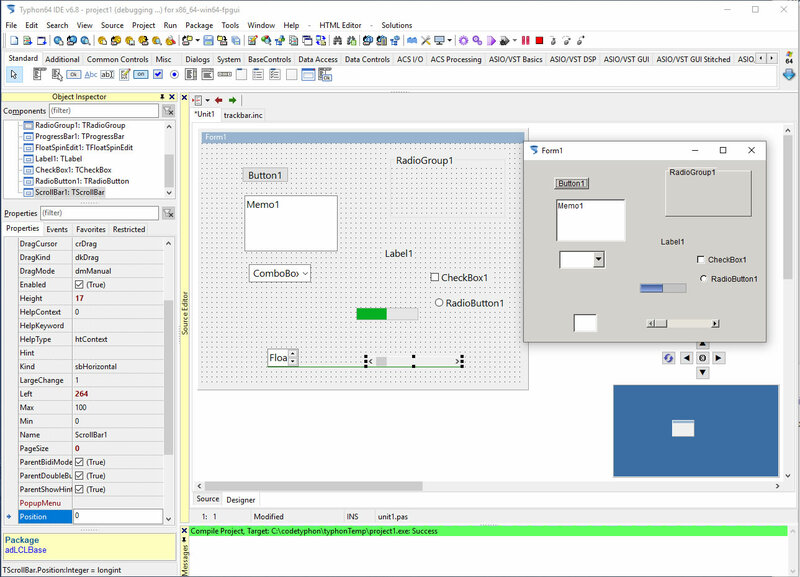 It's AdLCL application with fpGUI platform. Last edit: 1 week 1 day ago by Sternas Stefanos. > It's AdLCL application with fpGUI platform. I did not find that commit, do you use fpGUI develop or maint branch? About the GIT hash you give in update-infos, could it be possible to give the hash from the original-component Git? I did check for uos too and the hash does not exist. Ooops, sorry, I need new glasses, for uos it is perfect.